The team must win 7 of their last eight games. Can they do it? The days are dwindling down on this season of basketball. Playoffs are looming, but with what appears to be the same indifference to a finals that most believe will assuredly host the Golden State Warriors and __________________________________ (fill in your choice for an Eastern Conference sacrificial lamb here). In hopes of keeping things interesting from a Spurs perspective, let’s determine if the Spurs are on pace to close out a 50-win season. As of Sunday’s win against the Boston Celtics, the Spurs are 43-31. With eight games remaining, the Spurs would have to finish out the next two weeks with no less than a 7-1 record. That’s quite a feat for most teams, but what do you say to the team that has gone 10-2 since the abysmal Rodeo Road Trip. The Spurs are a team on a mission, and while moving up in the conference is not looking as possible as it once was, the Spurs are still not a lock for a playoff spot either. Granted, once they are locked in, there’s a chance Pop will reveal very little of LaMarcus Aldridge and DeMar DeRozan, thus nullifying some games that might otherwise land in the win column. 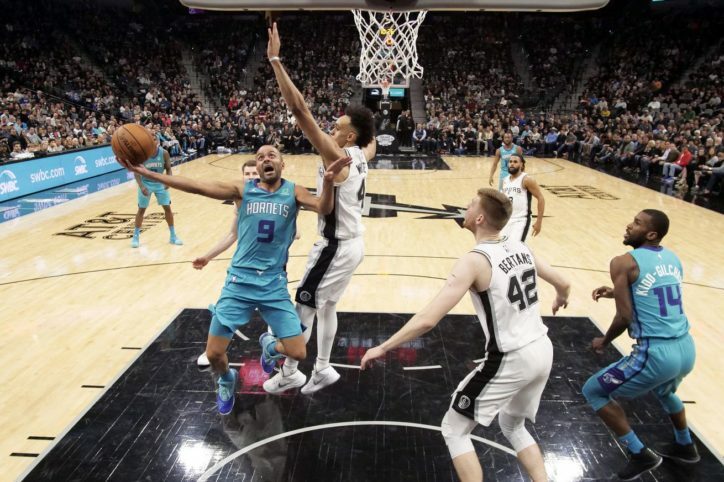 That said, let’s look at who the Spurs have left on the schedule: Charlotte Hornets, Cleveland Cavaliers (twice), Sacramento Kings, Atlanta Hawks, Denver Nuggets, Washington Wizards, and Dallas Mavericks. Other than the Nuggets, the other teams are outside looking in on the playoff picture. The Cavs, Mavs, and Hawks are definitely out, and the Kings, Hornets and Wizards would need perfect storms to pull of a playoff berth. So what do you think, Pounders? Can the Spurs pull off a 7-1 run to end the season and reclaim their 50-game winning season identification?